Girls Just Wanna Have Fund$–Motivation Monday! – Carolina Girls in Action! 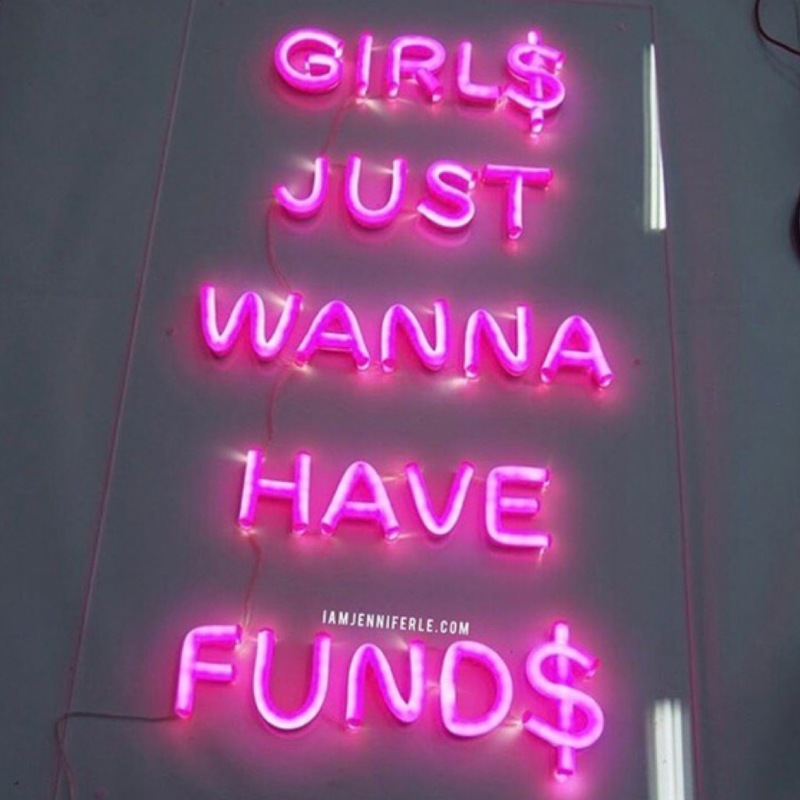 Girls Just Wanna Have Fund$–Motivation Monday! Okay so you want to buy this, and you want to buy that, but yikes. Where did all the “just for fun” money go? You paid your bills, you gave back the money you loaned from your dad, you put gas in the car and now…here you are at your local Hobby Lobby, trying to buy those items you needed in order to make that new product you wanted to place in your online store, but you realize that you’ve already gone $11.72 over your budget for the week. What now? If that story sounded anything like you—hear us out. The very first lesson of “Mula” that the CGIA squad wants to share with you is to never just have one source of income. You want to have enough fund$ to live life to the fullest? You need to create multiple ways for you to receive coins. In the Bible it talks about four rivers that flowed into the Garden of Eden that helped it to thrive. It was then related back to our own lives. If we want to live a life of abundance like God intended, we need to have at least four streams of income flowing into our lives. Inventions: Believe that you will come up with new ideas that are necessary. You are capable of developing new ways and methods. Investments: Save, save, save, and save some more. Invest in stocks or shares. Make your money work for you. Steady Income: Take the job. Do whatever you need to do to be able to have a steady flow of income. Remember that the position you take is not your final destination. Better is coming. Faith: Believe that people can be blessings. Believe that doors will open. Believe that whatever it is that you need to make your dreams come true is available to you! We know that for the most part, not all of these streams will be flowing at once—but it is not impossible! Keep your faith and work on making them flow at the same time in order to create the life that you have always imagined. Even though it seems that this post was mainly about money, our biggest tip here is to NOT have your focus be on money! Shocking, right? Previous Shoutouts Saturday! w/ Jayla Breanne Parker. Next LOTUS pose. Try-it-out Tuesdays.